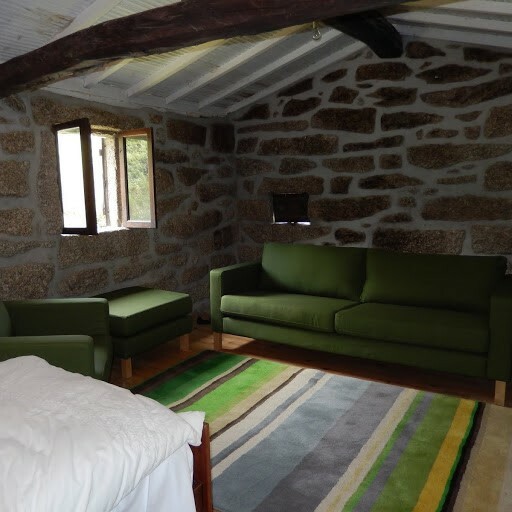 This property for sale is a detached converted watermill situated on the banks of the river Vides, near Serzedelo in the Braga district of northern Portugal. It is within walking distance to the outdoor adventure park and is excellent for nature lovers and for those that love the open countryside. The mill is superbly constructed from granite and is a beautiful conversion project that would suit many prospective buyers. The property will be sold as furnished and so it could be lived in straight away or you could rent this property out and enjoy a good rental yield given the fine construction, the countryside setting and the beautiful interiors. The present owner has owned the property for 12 years. One of Portugal’s oldest cities, Braga was also an ancient seat of religious power with an archdiocese anchored in the 4th century. The cathedral is mandatory, as are several of the old churches, chapels and monasteries in the area. There’s also the lofty Bom Jesus do Monte sanctuary that you can reach via a splendid Baroque stairway with allegorical sculpture, or on a 19th century funicular. You have to see the imposing old mansions around the city, festooned with azulejos and taking you back to aristocratic life in Braga in days gone by. Tourists often visit Se. It is Braga’s extraordinary cathedral, the oldest in Portugal, and construction was begun when the archdiocese was restored in 1070 and completed in the following century. The property is sold as not furnished.